On Easter Sunday, 1968, ABC broadcast "The Ten Commandments" – kicking off a tradition that's stayed relatively intact for a half-century. Initial holiday-timed showings of Cecil B. DeMille’s Old Testament Passover epic preceded two landmark pop culture spins on the New Testament: The 1971 New York stage debuts of the musicals "Godspell" and "Jesus Christ Superstar." Both shows took contemporary approaches in framing the story of Jesus’ final days for Baby Boomers. 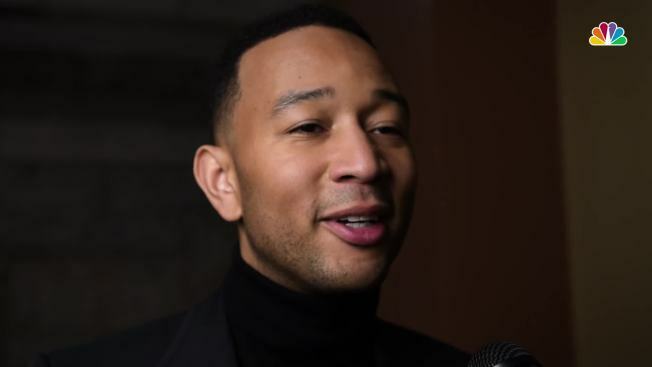 Some 47 year later, this Easter Sunday brings NBC's "Jesus Christ Superstar Live in Concert," with John Legend in the title role. The show is shaping up as a test not only of the durability of Tim Rice and Andrew Lloyd Webber’s rock-infused version of the greatest story every told. It also will gauge whether families will gather around the television for a live holiday broadcast – a concept that seems as old as Moses. “The Passion” didn’t pack the history of “Jesus Christ Superstar” – a rock opera distilled for a Broadway audience that’s garnered decades worth of kudos and knocks (including from Webber, who reportedly didn’t like the glitzy original New York production). Sara Bareilles (Mary Magdalene) and Alice Cooper (King Herod) will join Legend in NBC’s concert version. Broadway veteran Brandon Victor Dixon (“Hamilton,” “The Color Purple”) plays Judas – the juiciest role. The broadcast seems likely to spawn some internet friendly clips. But anything could happen during the live-from-Brooklyn production, which is part of allure of watching in real time. At least families hoping to share some Biblical-themed holiday entertainment won’t have a difficult choice this year: ABC is airing 1956’s “The Ten Commandments” the night before Easter. Even in the era of streaming, that parts the way for “Jesus Christ Superstar Live in Concert” to make its own mark – and perhaps start a new tradition.